PUT A LID ON IT. 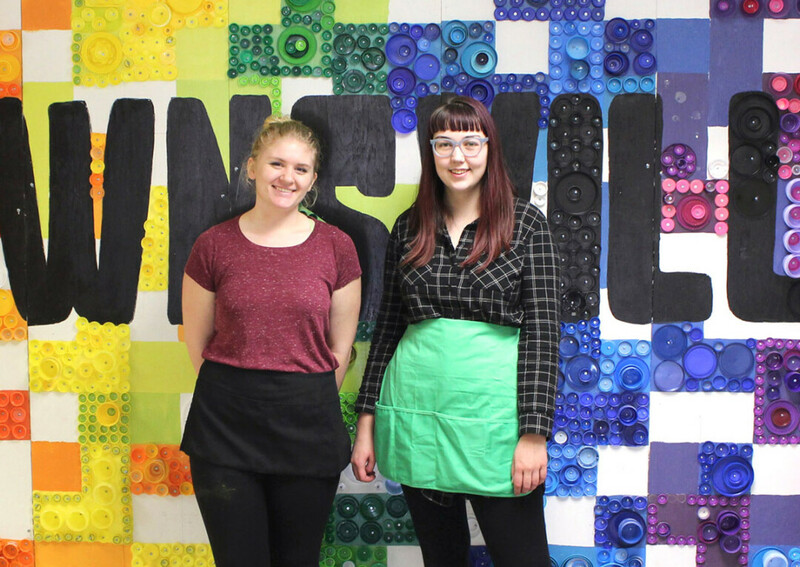 Two UW-Stout art majors, Abby Henderson, left, and Grace Rogers, right, created a mural at Downsville Elementary School with the help of Downsville students and approximately 7,000 bottle caps. 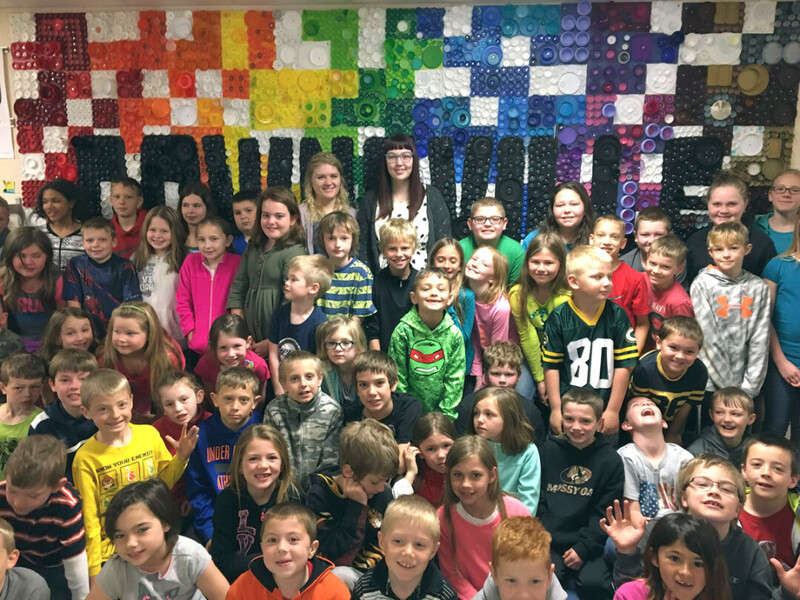 A school vote was held, and the design was chosen by the Downsville students. The mural is in the hallway across from the front doors of the school. PAINT provides paid internships, like the mural project, to UW-Stout students who are going into teaching professions, said AIM Executive Director Tami Weiss, an assistant professor at UW-Stout. “These opportunities allow for many hands-on teaching and learning experiences through the arts, which end up being a win-win for preservice teachers and the students in the schools,” Weiss said. AIM is a grant-funded collaborative program involving UW-Stout, the Menomonie school district, and the Mabel Tainter Center for the Arts. For more information, go to artsintegrationmenomonie.org. Two other large-scale art installations were undertaken by AIM this spring, a mosaic mural in the lunchroom at Wakanda School and a library mural, created by Weiss, at River Heights School. For more information about UW-Stout’s art education program, go to uwstout.edu/programs/bsae.